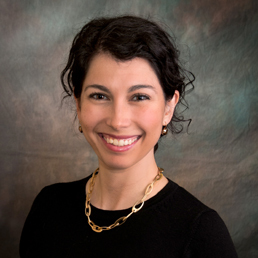 Dr. Lisa Parrillo is a reconstructive urologist that has recently joined Idaho Urologic Institute. She is a graduate of Pomona College in Claremont, CA, and attended medical school at Eastern Virginia Medical School in Norfolk, Virginia. She completed her urology residency at University of Pennsylvania in Philadelphia, PA and went on to complete a fellowship in Genitourinary Reconstructive Surgery at the University of Colorado in Denver, Colorado. Dr. Parrillo sees male and female patients and has special interest in reconstructive urology; treatment of urethral stricture disease; treatment of erectile dysfunction; multimodal treatment of urinary incontinence; robotic treatment of ureteral stricture; robotic treatment of prolapse disease; treatment of vesicovaginal fistulas; vasectomy; treatment of urologic cancer; complex urinary infection issues and treatment of stone disease. She participates in research studies at Idaho Urologic Institute. When not working, Dr. Parrillo enjoys the outdoors and runs, rock climbs, skis and hikes. Dr. Parrillo is a member of the American Urologic Association.